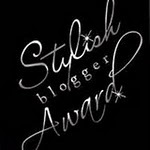 Stamp On Me: Stylish Blogger Award...twice! I have received the Stylish Blogger Award recently from both Brenda and Nat... so thank you very much ladies, I really appreciate that you both thought of me! I am truly blessed to have found so many friends out there in crafting blogland! Funny when you consider how hesitant I was to actually start this blog in the first place. I love owl stamps but have a bird phobia in real life! I write lists for EVERYTHING! When the lists get untidy I rewrite them. Yes I am a little OCD! Both my parents were born in England and my paternal grandfather was Welsh. The most amazing place I have ever been to is Egypt. Sam - My BFF and crafting buddy. Not newly discovered, but someone who really deserves an award for all of her beautiful crafty work! Sam is always there to inspire and encourage and sometimes is just there to listen to me talk crap! Exactly what a friend is for! Brook - I discovered Brook's blog recently via the Anyone for Anya? Challenge blog. She colours with her copics beautifully and has created some wonderful cards. Doreen - Doreen's blog is another that I discovered via the Anyone for Anya? Challenge blog. She creates beautiful cards with lots of intricate designs and gorgeous embellishments. Tracey - I discovered Tracey's blog through WOYWW (What's on Your Workdesk Wednesday). She creates beautiful jewellery that she sells in her Etsy store. Tracey also creates beautiful cards and always adds gorgeous embellishments to her designs. Tertia - Another WOYWWer who colours beautifully and who, like me, loves copics! I am envious of her copic collection...it's huge! Drool! Shaz - Sharon is a fellow Aussie that I found through WOYWW! Her calligraphy is amazing and her cards and creations are wonderful! Mrs A - Yet another WOYWWer who creates the most amazing altered art, ATCs, handbags, fans, and I could go on! She has a mischievous knitted monkey who is always getting into trouble and often uses Mrs A's sewing machine as a sun-bed! So pop on over to check out the work of these inspirational and crafty gals. Thank you ladies for inspiring me, encouraging me or just making me laugh! Ah, thanks so much for this Susan you have made my night it is so very nice to be thought of by folk who are lovers of beautiful work so thanks heaps... I admire your craft work too..and love the friends we meet in blogland!! Hi Susan,Thanks for mentioning Me,So sweet of you .Congrats on winning Stylish blogger Award Twice!Love the cards that you have created . Thankyou so much for this award Susan. I can't believe that 4 out of your 7 random things about you are my sentiments too. 1,2,3 &6. How cool is that. Hugs Mrs A.
Susan, thank you for this award! I love looking through your site...so many cute projects. I had to laugh when reading the random things about you. I make lists to...for EVERYTHING. I think it is an obsession. Glad I'm not the only one! Thanks again! Thank-you soo much for the award. I appreciate your beautiful words and I cherish our friendship. Oh and Congrats for receiving this award twice...you deserve it! !